Zeke Ashton never met Brenda Barnes, so far as I can tell. That’s too bad. He had, sometime this fall, his Brenda Barnes Moment. I think he would have enjoyed talking with her about it. Brenda Barnes was many things but, for the purpose of our story, she was one of the most powerful business leaders in America. She became COO of Pepsi-Cola in 1993 then president and CEO in 1996. 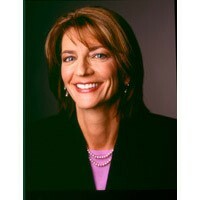 Later, as president of Sara Lee, Forbes ranked her as the 8th most powerful woman in the world, just ahead of Oprah Winfrey (2005). That same year, Fortune ranked her third. But Brenda was not just the sum of her corporate accomplishments. She was a good and thoughtful person, complex, acute and still charitable. She was a spouse, a mother of three, an active mentor to young women and a respected voice in a dozen communities. She was also an Augustana alumna, guide and colleague. Brenda always understood that “to get to the highest levels, you have to commit your life, which was not the right choice right now. But I would never rule out going back.” She joined carefully selected boards of directors (“I wanted to go where I could learn something, and where I felt my skills would be an asset. You don’t want to just sit there. You want to be valuable. Otherwise, why waste the time?”) and eventually returned to a second, higher pinnacle as CEO of Sara Lee. In 2010, while lifting weights in a gym, Brenda suffered a massive stroke, was placed in a coma, then spent years ferociously rehabilitating herself. In 2013 she received the State of Illinois’ highest recognition, the Lincoln Laureate award. The story: Centaur Total Return (formerly Tilson Dividend TILDX) is a remarkably good little fund. All-weather, great returns over time, absolute value orientation. It’s been managed since inception by Zeke Ashton, who wants to have a fully-invested equity portfolio but who has kept 40-60% in cash since the market became richly valued. It’s made 12% annually over the decade because his stock picks perform really well; last year he had a 13.5% return sitting on 50% cash, which means his stocks returned about 27%. We’ve profiled it several times. Nonetheless, money has been walking out the door at about a million a month. My rough estimate is that he’s seen outflows in, say, 70 of the past 72 months. The fund is down to $25 million, mostly friends and family now. The easy assumption, which I erroneously made in first writing about his decision, is that Mr. Ashton concluded that the fund was not financially sustainable and that he couldn’t justify sticking with it. I had a wide-ranging conversation with Mr. Ashton at the end of November, 2018. This was not really a business or investing decision, though both played a role. Centaur, with both a hedge fund and a mutual fund, is a family business run by a husband-wife team. That certainly makes us different from the usual hedge fund boutique and, I’d guess, from the usual small mutual fund, too. Running a special kind of fund has been a dream of mine, and it’s nearly all-consuming. I felt like I had identified the core problem with mutual funds and investing in general; the problem is sometimes fees and performance, but it is primarily that investors behave poorly. We too often make bad decisions in response to dramatic but short-term developments. I wanted to create a vehicle that could provide a similar ride to the fully-invested indices without the risk or volatility. By giving my investors a smoother ride, I was kind of hoping that people would settle in for the long-term. By and large, relative to the exposure that we take and relative to the market cycle, I think we did that. That’s been my dream, but pursuing it has come with real costs. It takes so much effort that you can hardly imagine it. We work virtually every weekend and every night, and we’ve had no vacation in six years. That was my choice and it reflects my style, but I’ve become uncomfortable with the cost. Our parents are getting older, and need us more than before. That’s made me realize, the stock market is always going to be there but the people you love won’t always be. It’s a good time for us to step away. We have decided to close our hedge fund and return capital to investors. We’ll have time for each other and for family. I think of it as a sabbatical from the business, not necessarily the end of our time in it. I have great peace of mind about it all: we were on a worthwhile mission, and it was a worthwhile use of a third of my life. Global equity portfolio manager managing global, international and emerging market portfolios utilizing a quantitative investment framework. Global equity strategy has an annualized alpha of over 200bp over the last eight years. The investment process combines a disciplined top-down global country-allocation strategy with a bottom-up quantitative stock-selection strategy to provide two complementary sources of alpha. Global macro-economic, valuation, growth and momentum indicators are used within a multi-factor framework to evaluate country attractiveness, and determine risk-managed country allocation. He’s doubtless a good guy. I reached out, via Linked In, to Mr. Chopra but he has not chosen to respond. There is a strategy description on the DCM Mutual Funds website, for those interested. As a practical matter, Centaur remains in name only. We don’t know its future directions or prospects, both of which might conceivably be bright. Given that ignorance, we have removed our earlier profiles of Centaur and recommend that investors approach it as they would an entirely new fund. We wish Mr. Ashton well. He’s done an exceptional job for his investors and surely has earned some time with family and with life. He might, in the fullness of time, choose to return. We would welcome that development and will remain watchful on your behalf. I tell people you have to really value life and view it with a positive attitude, because you never know when it could go away, or how quickly it could go away. It’s the old adage of living each day to the fullest. In the flick of a moment, everything changed for me. Everything. Brenda wrote a very good book, indeed.